Convenience is key in every home lighting design. We specialize in cutting edge landscape lighting automation systems. Control each section of your outdoor lighting right from your smartphone, streamlining usage and function. 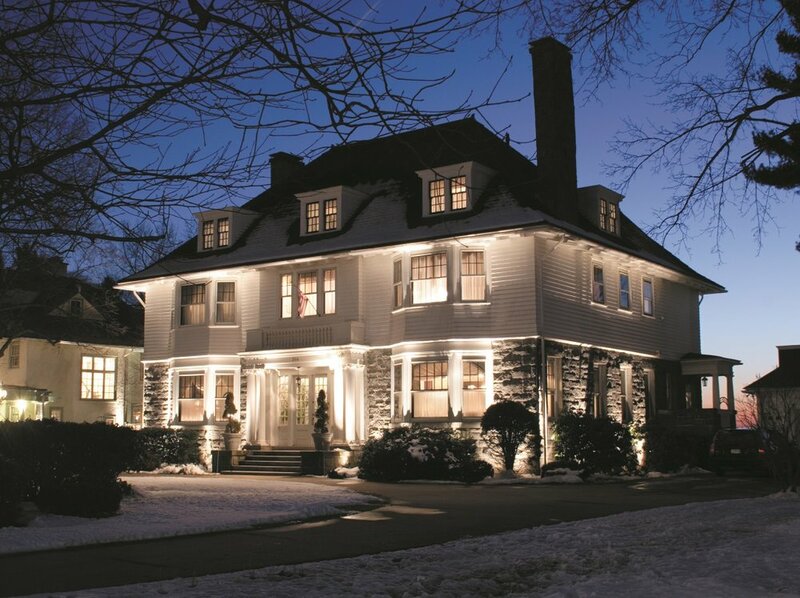 Modern LED technology ensures that each landscape lighting fixture is long lasting, durable and energy efficient. LED bulbs offer a wider variety of color, warmth, & brightness which allows our designers to fully customize each system to your specific home. Innovative outdoor lighting design enhances the natural beauty & unique architecture of any home, while simultaneously enhancing evening safety - when at home or away. Illuminate walkways, driveways, pool areas, and garden accents with beauty. Whether hosting guests by the pool on summer nights or navigating snowy pathways in the winter, weather-protected landscape lighting fixtures ensure year-round safety and enjoyment. There are few landscape investments that bring more value than lighting. Use more of your outdoor home, even after dark. Collaborate one-on-one with an expert designer to discuss all potential options for enhancing your space with a customized outdoor lighting design. We walk each client through our design and installation process, offering solutions for landscape uplighting, hardscape lighting, safety &security lights, or a full overhaul of property lighting. Showcase your garden's elegance, line the perimeter of a retaining wall or add general aesthetic artistry to an outdoor patio space. We work with homeowners and business owners throughout Dutchess, Westchester, Putnam, Orange, and Ulster counties in NY.